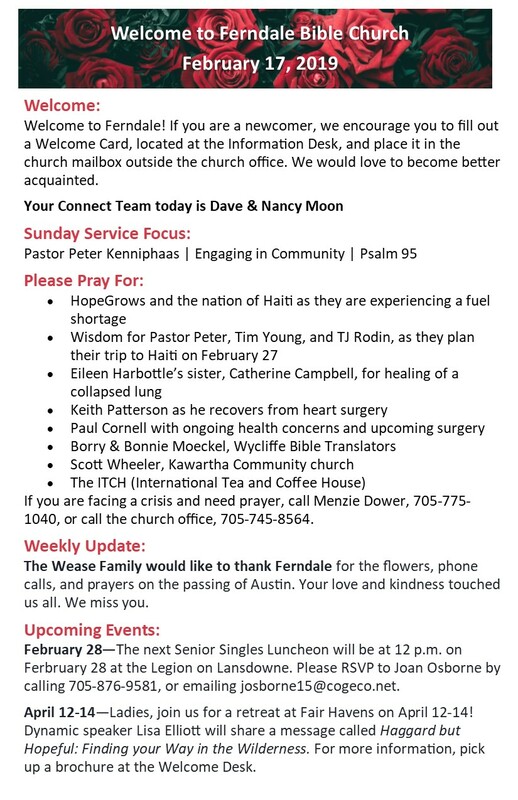 Sunday sermons from Ferndale Bible Church. We are a community of committed servants of Jesus who aim to know, grow, and show God’s love to Peterborough and the world. 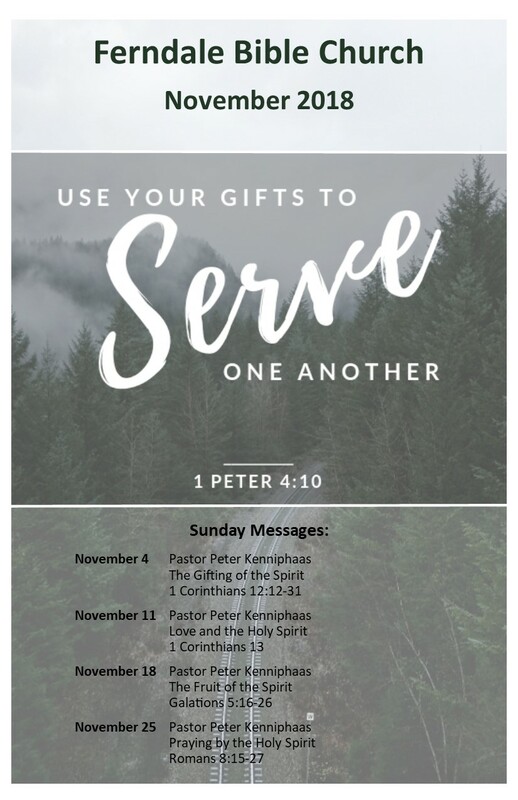 We gather every Sunday for worship and Christ-centred teaching at the three services offered, and through the week for friendship and growth in small groups. Holy, Is He Ever Strange! Why We Need the Holy Spirit? How to Stop Living for Your Own Glory, Slaying Your Sinful. How to Stop Living for Your Own Glory, Eliminating All Idols.